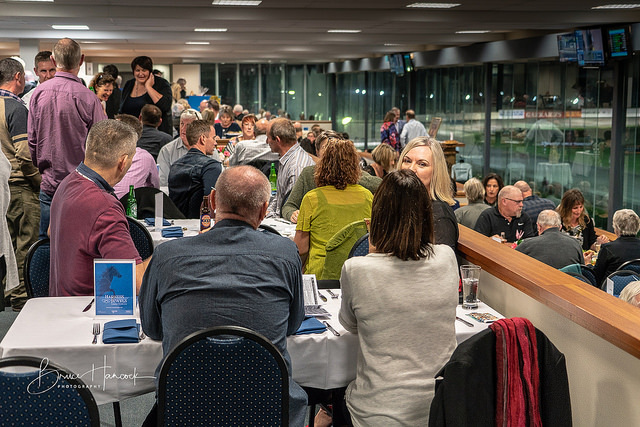 A great night out with full bar service, buffet meal, betting facilities, a superb view of the track and the opportunity to put in bids on both the Silent and Live auctions. A lively auctioneer achieved great results with enthusiastic bidding and no items being passed in. This meant a healthy income benefitting the Cambridge Community House and Cambridge Cricket, although the final amount raised is yet to be advised. Congratulations to Gordon Calder and his team for a well-organised and thoroughly enjoyable event with very good outcomes for the beneficiaries.